The sport of climbing has seen a steady growth in North America over the last several years. A contributing factor has been individual’s access to artificial climbing walls. These facilities allow climbers to experience the body movements, physical and mental challenges associated with the sport without having to have the extensive technical knowledge to create fall protection systems. Here at HOC we have already incorporated the sport of climbing into our activity programming and campers have enjoyed the challenging elements of our indoor and horizontal wall to date. 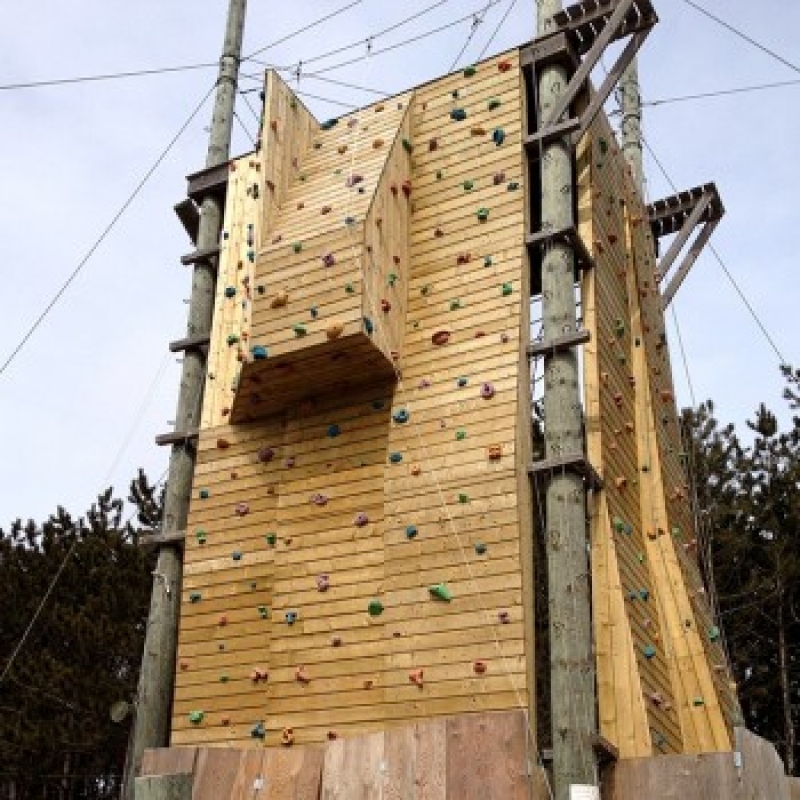 Although, given the activity's success, we felt it was time to expand on the programming and build a bigger, better outdoor tower that offers campers new experiences and challenges at camp. When we looked to finding the best company to build our new tower, we only looked to the best and safest. 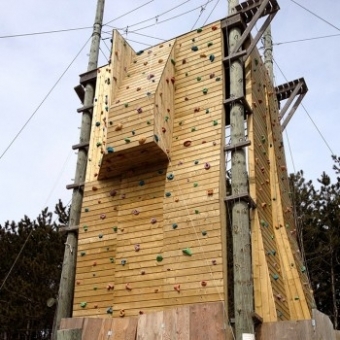 Challenges Unlimited Inc. (CUI) has been a leader in designing and building Challenge Courses, Climbing Wall and Zip Lines in Canada since 1988. As a founding Professional Vendor Member of the Association for Challenge Course Technology (ACCT), CUI has been part of the development of industry standards to promote well managed Challenge Course Adventure programs within Canada. This new Climbing Tower will be built across the road from main camp in our NEW "Outdoor Activity Centre". 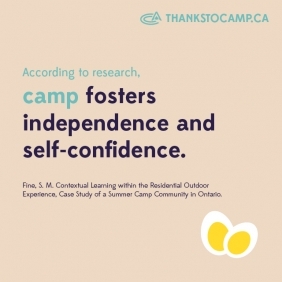 This new outdoor centre will incorporate a variety of outdoor activities that will keep campers active and busy during non-scheduled programming time. Stay tuned for more details in the spring!